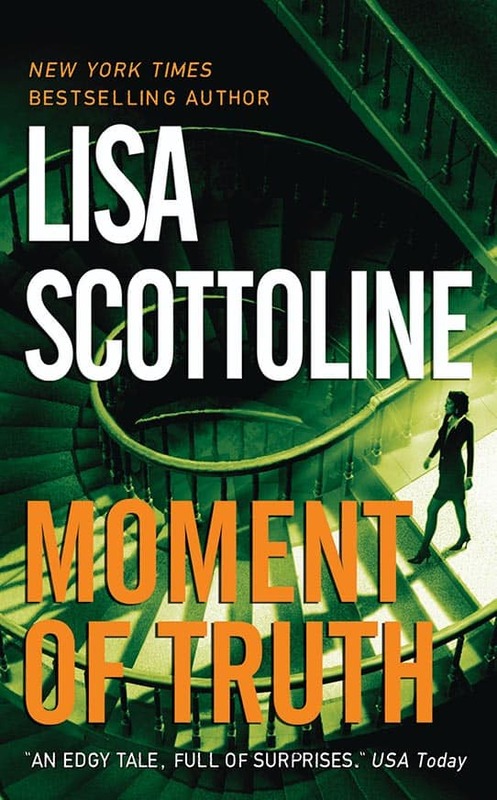 Lisa’s books draw on her experience as a trial lawyer and Everywhere That Mary Went is the first — and best — example. 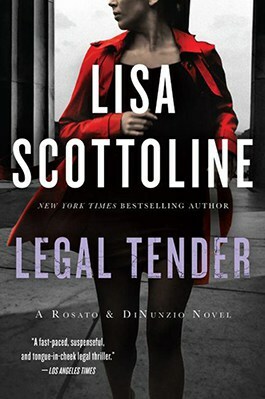 The novel is the story of an associate in a prestigious Philadelphia law firm much like the one Lisa practiced in. 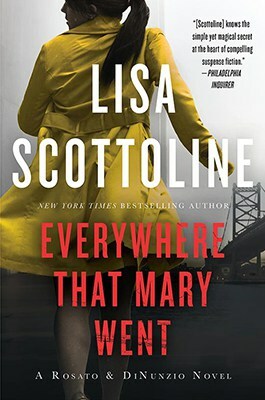 Everywhere That Mary Went was nominated by the Mystery Writers of America for an Edgar Award, the equivalent of an Academy Award in the suspense business. 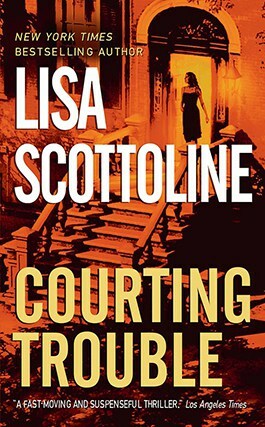 In Everywhere That Mary Went Mary DiNunzio has been slaving away for the past eight years trying to make partner in her cutthroat Philadelphia law firm. She’s too busy to worry about the crank phone calls that she’s been getting — until they fall into a sinister pattern. The phone rings as soon as she gets to work, then as soon as she gets home. Mary can’t shake the sensation that someone is watching her, following her every move. The shadowboxing turns deadly when her worst fears are realized, and she has to fight for something a lot more important than partnership — her life. “All rise! All persons having business before this Honorable Judge of the United States District Court are admonished to draw near and be heard!” trumpets the courtroom deputy. Instantly, sports pages vanish into briefcases and legal briefs are tossed atop the stock quotes. Three rows of pricey lawyers leap to their wingtips and come to attention before a vacant mahogany dais. Never before has a piece of furniture commanded such respect. Judge Bitterman sweeps onto the dais on cue and stands behind his desk like a stout regent surveying his serfdom. His eyes, mere slits sunk deep into too-solid flesh, scan the courtroom from on high. I can read his mind: Everything is in order. The counsel tables gleam. The marble floor sparkles. The air-conditioning freezes the blood of lesser life forms. And speaking of same, the lawyers wait and wait. An uncertain chuckle circulates among the crowd in the back of the courtroom. None of us defense lawyers likes to admit it, but we will bill the time — we have to bill it to someone and it might as well be you. The plaintiff’s bar doesn’t sweat it. A contingency fee has more cushion than an air bag. “Well, well, well,” the judge mutters, without explanation, as he skims the motion papers on his desk. Judge Bitterman might have been handsome in a former life, but his enormous weight has pushed his features to the upper third of his face, leaving beneath a chin as bulbous as a bullfrog’s. Rumor has it he gained the weight when his wife left him years ago, but there’s no excuse for his temperament, which is congenitally lousy. Because of it my best friend, Judy Carrier, calls him Bitter Man. “Good morning, Your Honor,” I say, taking my seat at counsel table. I try to sound perky and bright, and not at all how I feel, which is nervous and fearful. I’m wearing my navy-blue Man Suit; it’s perfect for that special occasion when a girl wants to look like a man, like in court or at the auto mechanic’s. The reason I’m nervous is that this oral argument is only my second — the partners in my law firm hog the arguments for themselves. They expect associates to learn how to argue by watching them do it. Which is like saying you can learn to ride a bike by watching other people ride them. “Good morning, Your Honor,” says opposing counsel, Bernie Starankovic. Starankovic blinks a lot and wears a bad suit. I feel a twinge of guilt for what I’m about to say about him in open court — that he’s too incompetent to represent our client’s employees in a class action for age discrimination. If I win this motion, the action will evaporate, our client’s liability will plunge from megabucks to chump change, and its aged ex-employees will end up living on Social Security and 9-Lives. Defense lawyers consider this a victory. “Good morning, class,” replies Judge Bitterman. I force a fraudulent chuckle. The boys in the back do likewise. “Ha-ha-ha!” Starankovic laughs loudly. “Ha-ha-ha!” The bogus sound caroms harshly off the walls of the cavernous courtroom, ricocheting like a subatomic particle long after everyone has fallen silent. “Yes, Your Honor!” I pop up and grin, like an overeducated jack-in-the-box. Popping up and grinning isn’t something they taught me in law school, but they should have, since it’s a damn sight more useful than Property. I learned it on the job, and it’s become a conditioned response to more stimuli than you can count. I’m up for partnership in two months. Bitter Man’s chubby lips part in a smile, but it’s not a friendly one. I recognize the smile from when I did time as his research assistant, during my second year at Penn. I spent three afternoons a week finding cases for his soporific article on federal court jurisdiction. No matter how good the cases, they were never good enough for him. He always smiled that smile right before he tore into me, in the true Socratic tradition, asking me question after question until he had proven, as a matter of logic, that I was taking up too much space in the universe. “Miz DiNunzio? Are you with us?” the judge asks. I nod, in a caffeinated way. My nervousness intensifies. Red angry blotches burst into bloom, one by one, beneath my starchy blouse. In two minutes, my chest will look like a thatch of crimson roses on a snow-covered field. Very attractive. “Very good, Mr. Starankovic. You get an A for enthusiasm,” Bitter Man snaps, which shuts Starankovic down in mid-homily. Then the judge studies the motion papers before him, ignoring us both. I’m not sure whether to remain standing, so I steal a glance at Starankovic. He’s swaying stiffly, like a sunflower before a thunderstorm. I take a chance and sit down. “Miz DiNunzio!” says Bitter Man. “Yes, Your Honor!” I pop up and grin. “You heard me,” he says evenly. A hush settles over the back of the courtroom. Each one of them is thanking God he’s not in my pumps. I look down at the podium. My heart is pounding, my ears tingling. I curse Bitter Man, for humiliating me, and Richard Nixon, for appointing him to the federal bench. “Pretty please? With a cherry on top?” The judge’s voice is thick with sarcasm. The courtroom is as quiet and stone-cold as death. When I open my eyes, Bitter Man’s anger has evaporated. “That was quite … beautiful,” he says. So I do, and the argument sounds punchy and right, fueled by my fury at the judge. I rattle off the local court rules that Starankovic has broken, then segue into my cases, transforming each into the parable of the Careless Lawyer Who Undermined Our System of Justice. Bitterman begins to bare his canines in an encouraging way, which means he’s either happy or hungry. I finish my argument and return to counsel table. Bitter Man holds up a hand that looks like a mound of Play-Doh. “Stifle, Mr. Starankovic, as Archie Bunker used to say.” He glances around the room to see if anyone appreciates his joke. The gallery is too terrified to laugh, but the courtroom deputy smiles broadly. Your tax dollars at work. “Yes, Your Honor.” Starankovic bows slightly. “‘Is…? '” Bitter Man finishes with a flourish, waving his hand in the air like a conductor. “One good reason!” the judge bellows. The courtroom deputy looks down. The gallery holds its breath. I wonder why judges like Bitter Man get appointments for life. The answer is: because of presidents like Nixon. Someday the electorate will make this connection, I know it. I feel awful. I almost wish I’d never brought the motion in the first place. Starankovic opens his mouth, but nothing comes out. There is a silence as Starankovic looks down. He can’t bring himself to say it. He shakes his head once, then again. Socrates would have stopped there, but Bitter Man is just warming up. He drags Starankovic through every deadline he blew and every phone call he failed to return. I can barely witness the spectacle; the back rows are shocked into silence. Poor Starankovic torques this way and that, eyelids aflutter, but Bitterman’s canines are sunk deep in his neck, pinning him to the floor. There’s nowhere to run, nowhere to hide. There’s only pain and suffering. “Thank you, Your Honor,” I say, dry-mouthed. “Thank you, Your Honor,” says Starankovic, hemorrhaging freely. He shoots me a look that could kill. I stuff my papers in my briefcase and turn to go, as another corporate shill takes my place at counsel table. The pews are jam-packed with us, padded shoulder to padded shoulder, because the argument schedule is so late. I hurry by the freshly shaved suits in rep ties and collar pins. I feel like I’m fleeing the scene of a murder. I avoid the eyes of the men in the gallery, some amused, others curious. I don’t want to think about who sat among them at this time last year. I’m almost past the back row when someone grabs my elbow. 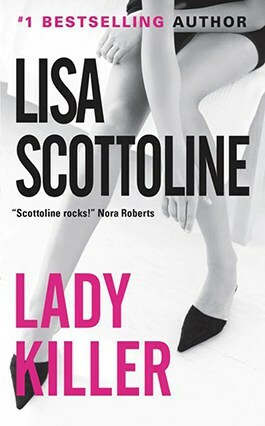 It’s the only other woman in this horde of pinstriped testosterone, and her red-lacquered nails dig into my arm. “This has gone far enough!” the woman says. “What do you mean?” My chest still feels tight, blotchy. I have a promise to keep and I’m failing fast. I try to avoid looking at the pew where she sits, but I can’t help it. It’s where my husband sat with his first-grade class and watched me argue my first motion. The rich mahogany of the pew has been burnished to a high luster, like a casket. I only half hear her. All I can think about is Mike. He sat right in this row and had to quiet the class as they fidgeted, whispered, and giggled through the entire argument. He sat at the end of the pew, his arm rested right here. I touch the knobby arm rest with my fingertips. It feels just like his shoulder used to feel: strong, solid. As if it would never give way. I don’t want to move my hand. “Let me go, I have to go.” I yank my arm from her grasp and bang through the courtroom doors. My promise is broken; my head is flooded with a memory. Mike and I celebrated the night I won the motion. We made love, so sweetly, and then ate pizza, a reverse of our usual order. Afterward he told me he felt sorry for the employees whose discrimination case I had gotten dismissed. “You’re a softie,” I said. “But you love me for it,” he said. Which was true. Two months later, Mike was dead. And I began to notice a softer-hearted voice than usual creeping into my own consciousness. I don’t know for sure whose voice it is, but I think the voice is Mike, talking to me still. It says the things he would say, it’s picked up where he left off. Lately it’s been whispering to me that my on-the-job sins are piling up. That each hash mark for the corporate defense is a black mark for my soul. Judgment day will come, it says. It’s just a matter of time. 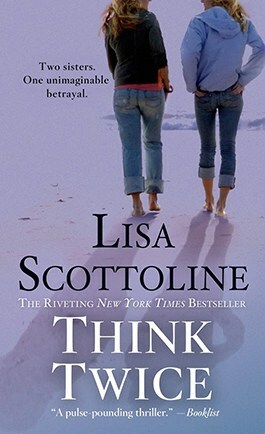 1993© by Lisa Scottoline. All rights reserved. Everywhere That Mary Went is Lisa’s very first book and it was nominated for an Edgar Award. 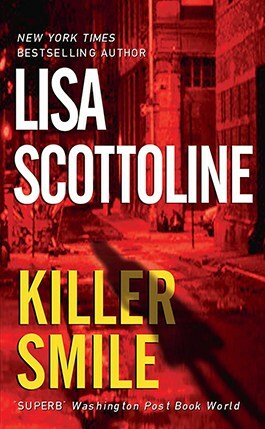 It didn’t win (but she did win for her second book, Final Appeal) but People Magazine called Lisa the “Female John Grisham.” Do you agree or disagree? What makes you pick up a book? Cover? 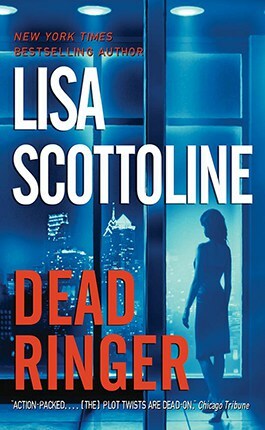 Endorsements from other writers? Reviews? The description on the book? Lisa believes you should write what you know, so Mary is a lot like her. In fact, Lisa and Mary both get red splotches on their necks when they are nervous. What else do we know about Mary? What kind of person is she? Is her character believable? How strong is her faith and how has that influenced her as a person and as a lawyer? Mary’s family is the true center of her life. Is this a good thing? Can you be too close to your family? Do you like Mary’s parents and do they remind you of people you know? How do you think Mary has been affected by her twin sister joining the convent? Mary and Judy are best of friends, despite how different they are. This friendship seems unshakable, but is it really? What kind of things must you agree on in order to have a solid friendship? Should you share everything with a best friend, or is it best to keep some things to yourself? 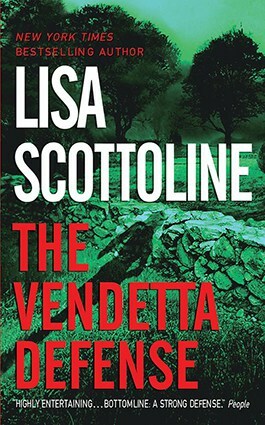 Justice is a common theme that runs through all of Lisa’s books. Is the law always just? How does Mary’s conscience play into her sense of justice? Does justice matter? 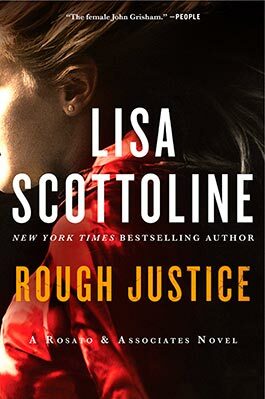 Is there justice in this book? Mary has suffered the loss of her husband at a very young age. How do you think grief has influenced her life? Do you think grief can help build character or destroy it? How long should someone grieve before they begin dating again? Are true friends measured by their availability during the grieving process, or is it understandable if people have difficulty dealing with death? Do you like Ned? Do you like Mary with Ned? How smart is an office romance? Is Mary really ready to date? Will she ever be able to move on from Mike? Should she? 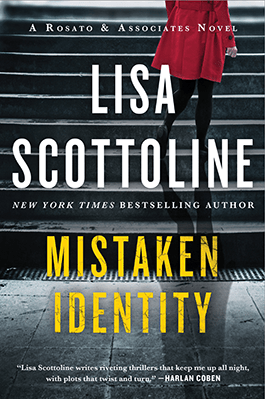 Lisa thinks she made a huge, rookie-type mistake in this book. This is in addition to Too Much Cursing, which she has eliminated in her later books. What do you think it is? Email Lisa and take a guess at what she thinks was a mistake.